A lot of people are getting these phone calls from resale companies, this is the way they contact people. They tell you that selling a timeshare is easy because the resale market is hot. Unfortunately, there are many companies that ask you for an upfront and they promise to sell your timeshare with the guarantee to give your money back when they are able to sell your unit. These companies are scams. This company is known as the world’s largest timeshares resale marketplace. Timeshares only offices are located in Orlando, Florida. They assure that there is a hot timeshare resale market. Your timeshare can stay listed for years, not only unsold, but with a lower price. However, if you ask them to get a refund or even a partial refund they deny your request. Grand Weeks VIP is a vacation package. This fraud is more frequent in Cabo San Lucas, Mexico. This timeshare resale company says you have to buy a membership with a cost and some additional fees. They promise to refund your initial payment. Then, another company asks for another fee and an escrow company too. Besides, they ask for attorney’s fees. Once you pay, you won’t hear from them again, and your money will be lost. Global Golf Connections is a rental and resale timeshare company, one of the most fraudsters. Those owners of timeshares at Mayan Palace are the scammed people. They offer them to rent and sell their weeks especially to golfers that stay in the resort, but this is a lie. They don’t have golfers or any person waiting to buy or rent timeshares. They state that they won’t charge any fees, lie. They obviously will charge you an upfront fee for the right to list your timeshare property. Their oficiale of title are OLGA KELLER STUART and ROBERTO MEDINA. this enterprise is registered at the state department and it is associated with BROKERAGE SERVICES LLC to defraud people, claiming that they have clients to rent o resale your timeshare then disappear, with all your money. 1.- Never pay anything upfront: Beware of unsolicited phone calls claiming they have a buyer for your timeshares and they will do the process just paying them an upfront fee. 2.- Get everything in writing: Get all the information about their offer in writing and make sure that all the promises are stipulated in the contract. 3.- Do a research: If you think in list your timeshare with a timeshare resale company make your research first around internet to see if there are people satisfied with the services. 4.- Check for real estate license: Ask if they have license to sell real estate and check this information with the state’s Real Estate Commission. 5.- Check with the BBB: Be sure to check the Better Business Bureau (BBB) for complaints about the timeshare resale company. 6.- Pay only if your timeshare is sold: Never pay fees in advance, pay only after your timeshare unit is sold. If you still think in listing your timeshare for sale with one of the Timeshare Resale Companies, I recommend you to think twice before you do it. Timeshares do not have any value on the timeshare resale market and the prices are so low and this happens because the supply exceeds the demand. 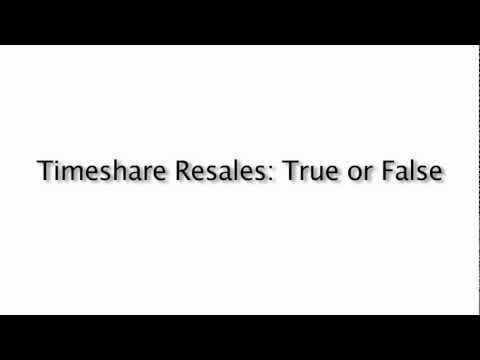 There is no “hot” market for timeshares, like timeshare resale companies expose. Try to sell a timeshare is just a waste of money and time. It is important to mention that the best way to get rid of an unwanted timeshare is not by selling it, is by cancelling the timeshare contract. Timeshare cancellation should not cost an upfront fee, and once is properly made; you will have the financial freedom you need. Contact Mexican Timeshare Solutions for a free consultation on how we can help you cancel your timeshare contract with no fees in advance. Quier vender mi tiempo compartido es de vistana orlando ..ace 7 años k lo tego . el 09 de julio en maztlan sinaloa mexico fuimos atendidos por el sr. Tony Esposito Quintero representante de marina maztlanlo, el objetivo principal era que me compraran mi paquete de tiempo compartido cid morelos y el sr. Esposito dijo que si era posible pero nos vendio una membresia de KARMA REWARDS para lo cual nos pidio una cantidad de $100,000 pesos para agilizar la compra de mi tiempo compartid de CID MORELOS, la membresia de karma Rewards tiene un costo total de $180,000 y en el contrato que el sr, Esposito nos elaboro y en uno de los acuerdos dice que el balance pendiente o sea los $80,000 se pagararian una vez que se me hubiera comprado mi tiempo compartido CID MORELOS y se marcaba un limite de 30 dias y hasta ahotita no se ha dado. es importante mencionar que el sr. Esposito fue el intermediario entre KARMA REWARDS Y ESCROMD DIAMOND. Its a good scam. With people desperate to sell timeshare I wonder how many send the money to these guys never to be heard of again. Scams such as this only exist because people trust in these companies easily. I wonder of those are the same people who keep sending me post cards offering to take my timeshare off my hands. Only I don't have a timeshare. I asked to take the contract home to have a lawyer review and if OK I would mail them a check and signed documents. They refused. They said they cannot do business via phone, fax, or email. I said "I said mail, not phone, not fax, and not email". They still refused to let me leave with a copy of the unsigned contract to review with an attorney.